The M50 is a professional measurement microphone intended for large room calibration. 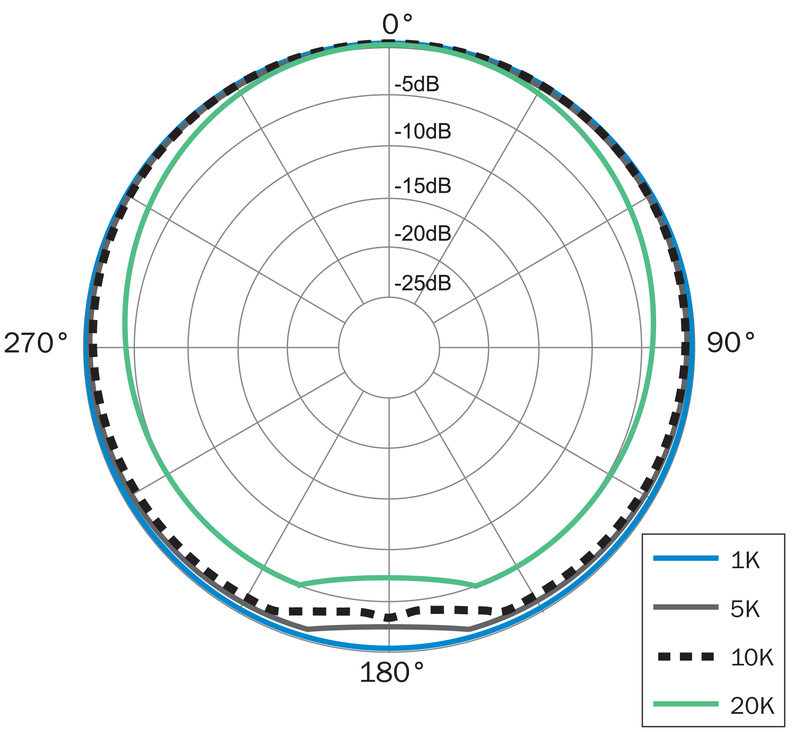 The ultra wide frequency response of 3Hz to 50kHz is flat throughout the entire spectrum and results in accurate room calibration using Smaart, MLSSA, SIMM and TEF based systems. 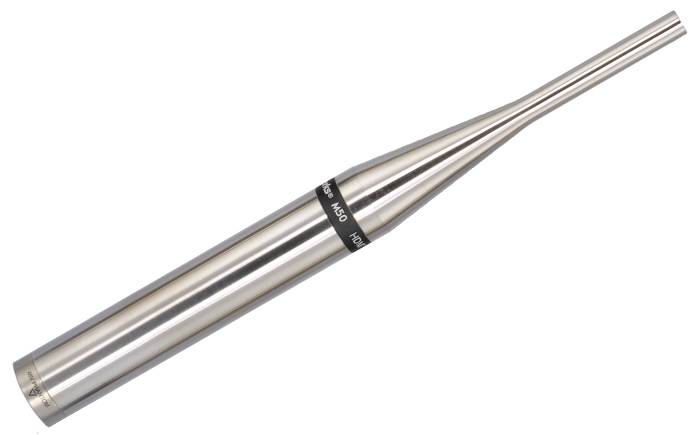 The M50 is a precision engineered 50kHz omnidirectional measurement microphone ideally suited for acoustical measurements including high-end loudspeaker design and quality control, scientific research, measurements of ultrasonic or subsonic transducers, or any application where an extremely accurate free-field measurement microphone is required. Known for its accuracy, reliability and consistency, the M50 is the top of the line measurement microphone with extraordinary impulse response for those who have stringent requirements and demand the very best. The M50’s audio performance is unparalleled. It has an ultra wide flat frequency response that extends from 3Hz to 50kHz and is flat throughout the entire spectrum. 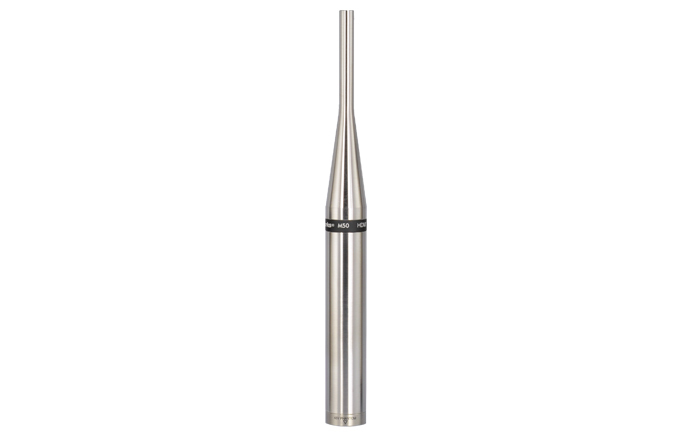 Its omnidirectional polar response exceptionally consistent, providing an even coherent response a the direct and off-axis sections of the microphone capsule. The M50 has a 140dB SPL rating without distortion and no handling noise. With temperature compensated electronics, the M50 was built to deliver repeatable results no matter what the environment. 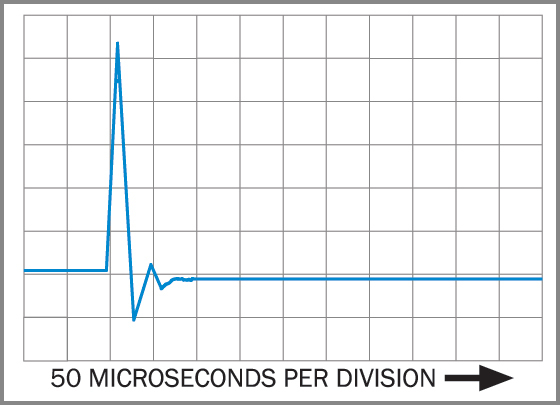 Lightning fast impulse response and linear phase response make the M50 ideal for use with high-quality FFT-based real-time audio system measurement software like SMAART™, SIM™, REW™, Electroacoustics Toolbox™, FuzzMeasure™ and others, as well as for use in PA system alignment and loudspeaker design. Every M50 is individually hand-tuned and tested and is delivered with its own printed frequency response chart. An Electronic Calibration File (ECF) is generated for each microphone during final testing, and can be downloaded free of charge after product registration.